... who shows up 10 minutes before the game with a lame, made up excuse. ... who tries to be buddies with all the "cool coaches." ... who uses the strike zone as a weapon. ... who owns one umpire shirt in navy and one in "dirty light blue." ... who shows up to a game with three days growth of beard or in need of a hair cut. ... who is trying to be the center of attention. ... who knows it all and can't learn something — even from a rookie umpire every single game. ... who can dish out "constructive criticism" but can't take it. ... who wears a white T-shirt with a printed design on it under his uniform shirt​​​​​​​​​​​​​​​​​​ so that it shows through. ... who refuses to clean his hats each season because the sweat stains are a badge of honor. ... who doesn't rate his partners high because he's afraid they'll keep him from the better assignments down the road. ... who doesn't communicate with their partner and use the prescribed mechanics for the various situations "because they should already know what's going on." ...who treats his partner like he's a rookie (even if he is) who doesn't know anything. ... who turns back assignments because he doesn't want to work with anyone he doesn't already know. ... who lays on 100 different critiques after a game just to prove how much he knows. ... who talks to all the players and coaches and fans before, during, and after the game. ... who ​​​​​​​​​​​​​​​​​doesn't keep a line-up card because the teams should know what is going on between themselves. ... who doesn't introduce a new umpire to the coaches at the field, and leaves the rookie hanging. ... who throws ANY fellow sports official under the bus ... EVER. ... who gives an opinion about a call in a game he didn't even see. ... who walks on and off the field or from Point A to Point B. You should be running. ... who doesn't take his job or membership in the WMBUA seriously, or is only looking for a paycheck. ... who calls a game at the first sight of rain. ... who can't/won't walk away from an argument. A lot of our newer umpires and rookies may be just coming up to catch their breath after a schedule filled with lower-level games and working solo more often than not. It's hard to figure out what is right, what is wrong, what is good, and what is bad about your game if you're only working solo games, and games where the players are experiencing their first or second year on the big diamond. But here are a few pointers that may help your pregame prep. Even though these are little things, when you add them all up, you can make your games move more quickly, and avoid any number of issues that can cause you to lose focus or control of the game. 1) Start your assignment the minute you accept the game. Make sure you contact your partner (if you have the plate) within 24 hours prior to the game to coordinate parking, arrival time, and even shirt colors. It's not against the rules for the base umpire to contact the plate umpire, however. 2) Make sure you have a clean uniform. When you wash your plate pants, it's a good idea to also wash your ball bag(s). Iron out all wrinkles on your pants and give them a good crease. Be sure to clean and polish your shoes before EVERY game. Your first impression begins with your partner, and ends with your partner back in the parking lot. 3) Begin your pregame meeting with your partner as you're dressing for the game and be sure to discuss coverage, communication, and mechanics. It's also a good time to ask questions about previous games, or situations. 4) Get to the field just in time to conduct the plate meeting with the coaches/players. Nothing good can come from hanging around the field before (or after) a game. Discussing ANYTHING with coaches, players, or fans is not a good way to start or end your assignment. More often than not, the discussion will turn to &amp;quot;a game we had last week ... &amp;quot; and you'll be asked to give your opinion of a call one of our members made in a game you didn't even see. What they are really asking is for you to throw a fellow umpire under the bus. 5) Make sure that neither team is on the field warming up when you're conducting the plate meeting. Don't let either starting pitcher take the mound for warm-ups until you direct them. 6) Following introductions (avoiding idle chit-chat), ask the home team to go over the ground rules. Encourage them to start with the backstop, and then follow the out-of-play area all the way around the rest of the field until you get back to the backstop. Make sure to ask questions if you have any, and ask the visiting team representative if they have any questions. ALWAYS stress sportsmanship, and then ALWAYS be a good example by doing whatever is possible to avoid a bad situation. 7) If you have any questions about special rules the game may be played under: such as 10-run rule, DH, etc. make sure you ask them BEFORE you start. Make sure both team reps agree. If they can't agree on a ground rule or rules, the Umpire-in-Chief must make them, and both team reps will be bound by them. Always err on the side of safety. 8) If the game is contracted with one of the leagues that pay the umpires on the spot, DO NOT start the game without your payment. Waiting until after the game is a recipe for disaster, especially if there is any trouble during the game which might create an uncomfortable situation. The coaches have been told they need to pay BEFORE the game, so this shouldn't be a surprise to them. 9) If you are the plate umpire make sure you have no less than three new baseballs to start the game. If the visiting pitcher has one he's been warming up with, ask for that ball before you start. Check the balls often during the game to make sure they are playable and acceptable. Don't be afraid to throw out a baseball if YOU don't think it's up to your specifications. 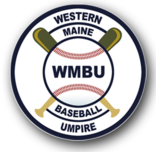 10) When the home team takes the field, it is recommended that the plate umpire take a position behind the catcher to observe at least two or three of the eight warm-up pitches. If you do this for the home team, be sure to do it for the visiting team when they take the field for the first time. 11) Be sure you count the warm-up pitches each half-inning. Remind the catchers before the eighth warm-up pitch (for first inning and for any new pitcher entering the game), and before the fifth warm-up pitch after the first inning, how many warm-up pitches are left. Also alert the on-deck batter. 12) Once the warm-up pitches are complete, be sure to sweep the plate before starting the game (or each half-inning). The ONLY acceptable position to sweep the plate is with your backside towards the pitcher. Be sure to sweep the black edges of the plate and give yourself as much area as possible to call a strike. You don't always have to call &amp;quot;time&amp;quot; to sweep the plate. Your base partner should be watching the ball and the action on the field. If you call &amp;quot;time&amp;quot; every time you sweep the plate you're keeping the defense from being able to get an out with runners on base. 13) Once the batter is in the batter's box, the catcher is behind the plate, and the pitcher is ON THE RUBBER, it's game time. Play Ball!